The challenges of today will help tomorrow’s green industry businesses of all sizes. Like any nursery industry long-timer, Terry Berger has seen the industry change and evolve. • Twenty years ago, horticultural field education dropped off, a phenomenon that’s still evident today with a relative lack of horticulturally educated workers. • A decade or so back, oil prices climbed, pinching nurseries with higher prices on everything from fuel and heating to plastics for greenhouses and pots. • And then there was the Great Recession, which drove many nurseries out of the business altogether and led to tight financial lending restrictions that have hampered the industry ever since. And yet, through it all, the nursery industry has managed to survive and thrive. In 2015 alone, Oregon nurseries and greenhouses had sales of $894 million, landing the industry at No. 2 on the list of the top agricultural commodities behind only cattle and calves. The nursery industry is again headed into a new state of flux, one influenced by both internal and external factors. Labor costs and availability, transportation and water constraints, and a changing regulatory scene are among the factors affecting nurseries of every size. Politics will also color the industry’s future, a future that is made somewhat uncertain by near-term succession plans, consolidation, mechanization and other trends. How nurseries respond and adapt will determine who thrives in that future. “The good nurseries make the right adjustments and move forward. That’s how it’s always worked,” Berger said. Nurseries of different sizes each face their own unique challenges. Smaller nurseries with just a handful of employees might not face the same labor constraints as larger ones because of their smaller scale. That doesn’t mean they’re not impacted by the current and projected labor shortage, however. They also feel the sting of higher prices and likely have fewer resources to invest in the mechanization needed to expand. “With the current state of labor, coupled with rising costs of virtually everything, mom-and-pop nurseries could find it challenging to ever take their production to the next level,” said John Lewis, a third-generation grower and president of JLPN, a deciduous seedling operation in Salem. Those factors might dissuade younger generations from taking over the family business and instead selling it or shutting it down. The continued tightness of the lending market has also been tough on the nursery industry, making it hard for medium and large growers to invest and expand. “That has not helped a lot of companies in their growth cycles, and a lot of companies have just maintained or even shrunk,” Berger said. Labor has long been an issue, too, and looks to persist well into the future. “There really has been a sharp rise in labor costs, and we’ve all had to get through the health insurance thing,” Berger said. He also said the dip in horticulture education programs has made it hard for nurseries to find staff members and managers well-versed in the industry. 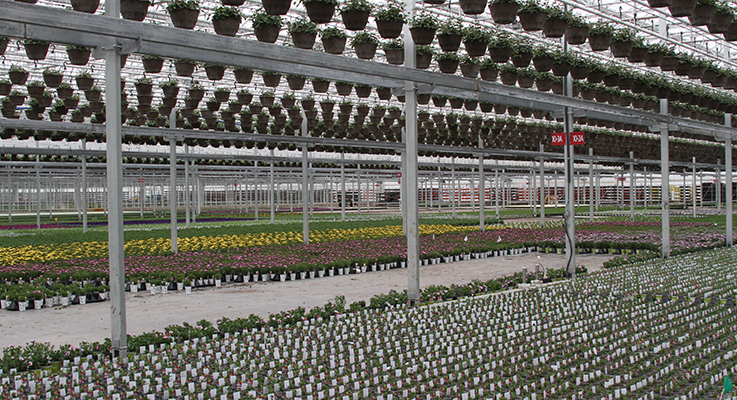 On the distribution side of the business, product shortages have been an issue, according to Mike Pezzillo, national nursery manager for McHutchison, a New Jersey-based horticultural distributor. “Supply challenges force us to be creative, but not all of our customers are interested in substituted products,” Pezzillo said. The struggles that are making life difficult for the nursery industry, along with the innovations and solid consumer demand that are keeping it strong, are also setting the stage for what’s to come in the future. At the small-scale level, Lewis said he sees nurseries carving out niches to survive. Though many small nurseries may fade away as younger generations strike out on different paths than their families, some may persevere and benefit by differentiating themselves from the mass market operations. There’s also a movement to return to locally grown and produced agriculture, including nursery stock, that could prove beneficial to small nurseries. “I see the silver lining or saving grace coming with the Generation Y and older Millennials who see the benefit in the small, grass-roots movement,” Lewis said. To keep solid at the medium size, Berger said Walla Walla has been diversifying into other horticultural lines. The nursery started out primarily with grasses, then added perennials. Now, Walla Walla has been branching out into branded shrubs, which have become popular with independent garden centers. Berger also said mechanization will continue to play a bigger role, but only in the medium and large nursery spaces. Lewis, who himself will be investing in advanced mechanization for his operation, said that large growers, those with 100 employees or more, are likely to be the ones implementing much more automation in the coming years. And not just mechanization in the traditional sense of the word, but more like robotics, a field that continues to advance rapidly. Larger companies, which are investing the most, are where much of the growth in the industry is going to happen in the future, Pezzillo said. A lot of the consolidation that’s likely to occur will happen at that level, as well, though maybe not in a way that might seem obvious. However things pan out, Lewis is optimistic for the industry’s future and confident that it will flourish.